I found in Krav Maga an effective philosophy. 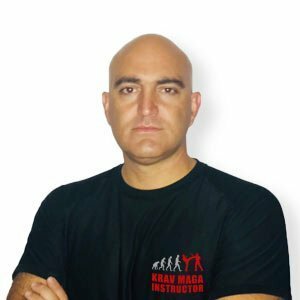 Having tried different combat sports, Krav Maga entered my life. For me, the great method: Simple, Effective and Realistic. Having a practice since 2009 and being an instructor since 2015, I try to share this passion with my pupils and to give all that my instructors, Laurent, Megan, Jean-Paul, Pierre took time to instill in me. Respect, Sharing, Passion, Fighting Spirit and Honor.